Well-known astrologer Prem C Sharma reads the astrological charts of both Narendra Modi and Rahul Gandhi, and tells us what to expect. An independent thinking personality, egoistic, a sound diplomat and capable of taking his own decisions. He can become destructive if his self-respect is hurt and his ability do things are questioned. 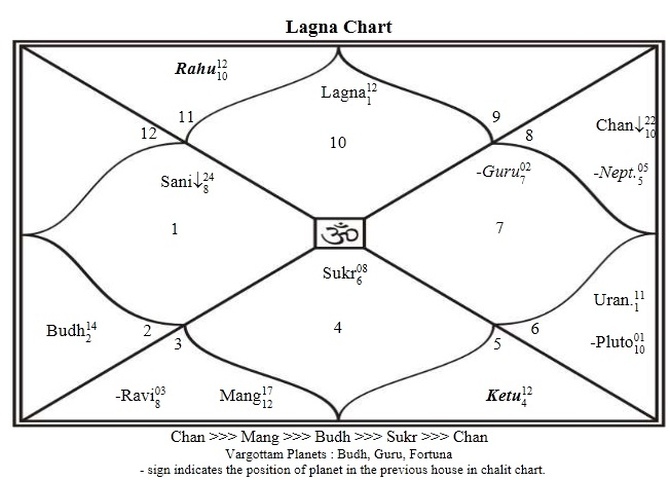 As per his charts, Modi's Moon is in a debilitated state and facing Shani Sadhe Sati, which causes sudden and unexpected results. It appears that he will get the party election results in 90:10 (see chart); this will make him dependent on others for a clear majority, and for this he might have to make a sacrifice. However, if Modi is adamant then he might get the higher post. The transition of Jupiter in June and Saturn in July will lead to many changes in the overall scenario. He will substantially change the foreign policy and export-import policy, and introduce new projects related to education and technology. His move regarding neighbouring countries will be sudden and it appears that he will create unexpected controversial relations with them. In return, the neighbouring countries will see increased spending on arms and warfare. Corruption will continue unabated. Speculation-related fields of trading, stock market, dollar trading and the commodity markets will also get affected positively. After February 2015, India's economic conditions will improve. The job market will open up and employed personnel and businessmen will witness an improvement in their status as profit margins rise, and new opportunities open up. Businessmen will see a marked improvement in their relations with foreign countries and exports will be highly encouraged. 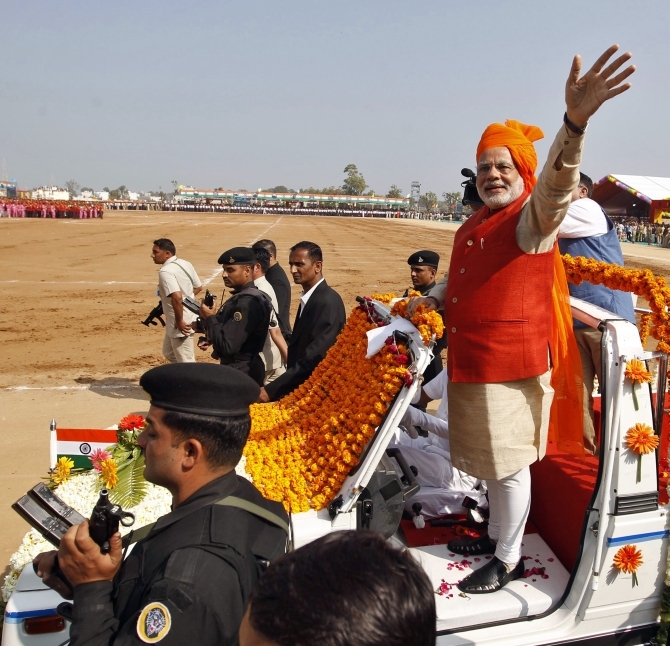 Image: Narendra Modi waves to supporters in Gujarat. If Modi takes decisions with the approval of other party members then these will bear success. He will constantly need to walk the tight rope between the Rashtriya Swayamsevak Sangh and his own decisions and thoughts. In my opinion, his own decisions are bound to create controversy, which will cause delay in objective accomplishment and create huge misunderstandings amid everybody in the party. He will have to use all his tact and diplomacy as he will need all their support. He should avoid getting involved in controversial matters from the past, and levelling allegations against key persons within and outside the party as this will see a downfall in his stature in the party and the public. Post February 2015 will be a very hectic time for Modi, and he should watch against taking any decisions without approval from his party members, or without thinking through decisions, to avoid issues. Modi should consider wearing a ring encrusted with a diamond and emerald, and white suits in all his day-to-day matters. Rahul is extremely emotional, has an artistic taste and has a strong ability to gauge people and situations. He is extremely imaginative and futuristic thinking, even more so than Modi. He can grasp other peoples' motives easily, and is outspoken and unselfish. He also usually has a sweet tongue, which may suddenly turn into a sharp one, under the impulse of anger. 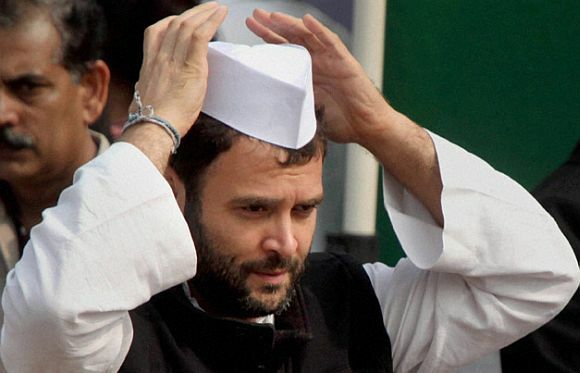 Rahul is very dutiful and attached to his family. The horoscope charts indicate that Rahul's Moon is also in a debilitated sign and he is also facing Shani Sadhe Sati which cause sudden and unexpected favourable results. He will get the party election results in 70:30. If he gets support from elected members and applies a bit of force, then chances indicate that he will get the high post, otherwise he will have to make a sacrifice for others. The time of Jupiter and Saturn will change the rashi and this will prove extremely favourable for Rahul's status. Since his chances of becoming PM are only 70:10 compared with Modi, he will definitely be sitting in the Opposition. 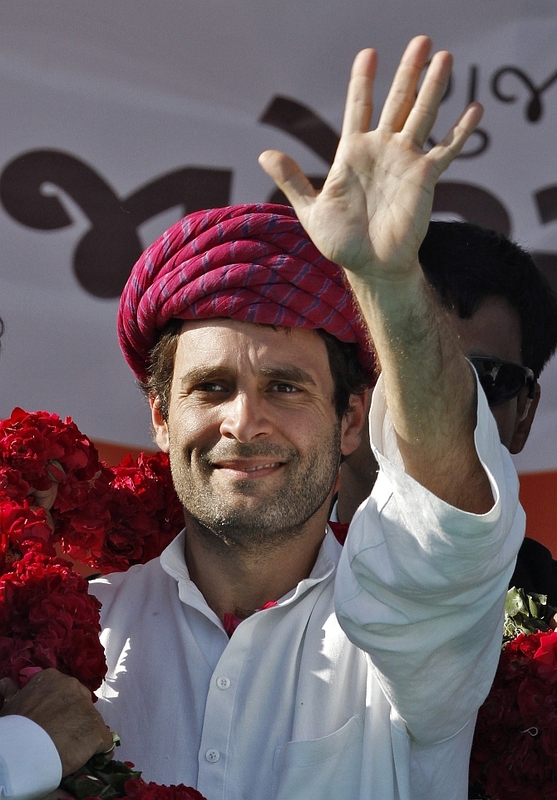 Post February 2015 will be an extremely favourable time for Rahul. He will prove himself a good political adversary for Modi and quite a thorn in his side. His stature as a wise politician with futuristic thinking will be looked up to. From a personal standpoint, Rahul will marry post February 2015 and it will be an arranged alliance. He will continue to be close to his mother and sister, and will take their counsel. 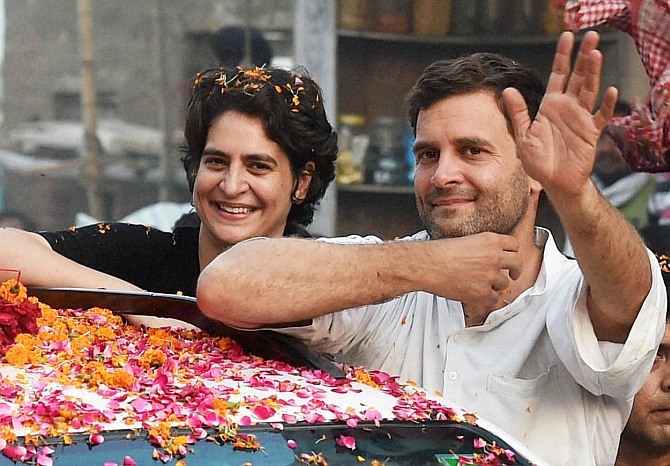 His mother will continue to play a strong role in the political arena, guiding both him and Priyanka to ensure their readiness to play a significant role in Indian politics. Priyanka's horoscope is more powerful than Rahul's when politics is concerned. She has a greater number of admirers. She will emerge as a powerful leader after February 2015. Image: Priyanka Vadra and Rahul Gandhi at a roadshow in Amethi. 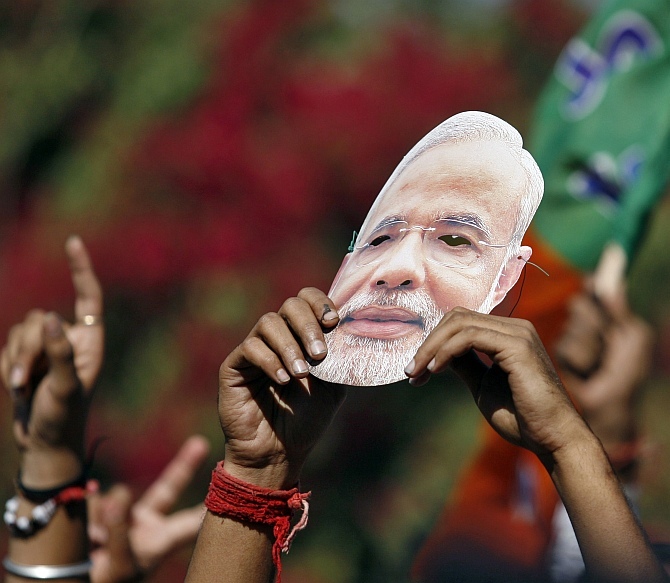 Sheela says: Is Modi a good actor, or is he really so genuine?